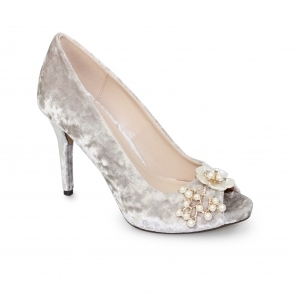 The Nevis glitter silk pump is certainly an eye catcher with a glitzy upper its like a party in a low tone design. With a padded insole for extra comfort and a soft upper with a textile piped trim this is a luxurious little pump that oozes personality. 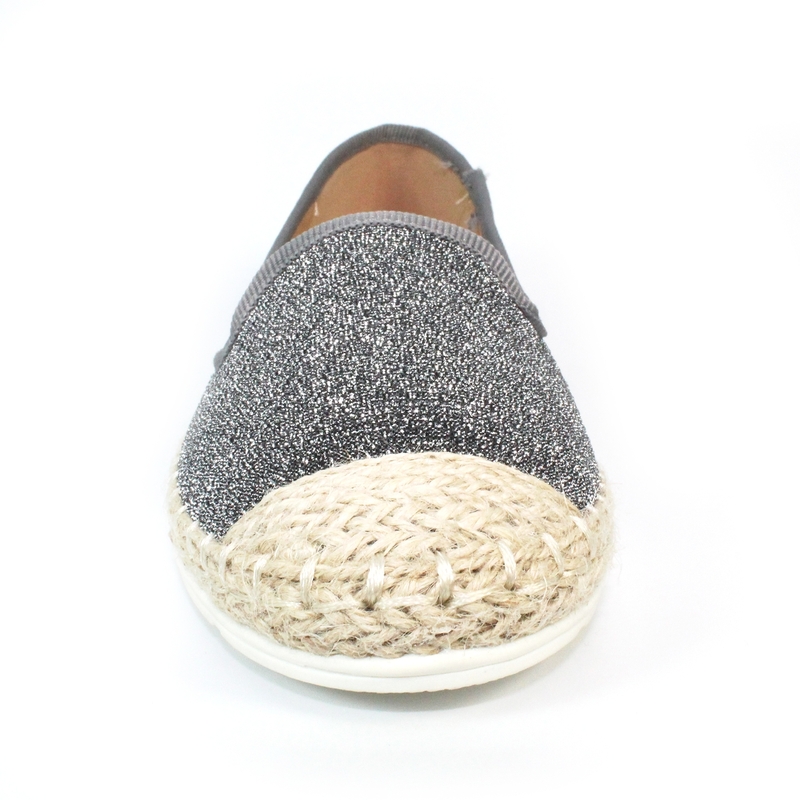 The espadrille styled outer sole detailing extends to the toe cap and runs around the entire shoe for that stylish finished look.